We are Leading to HALAL in Ahmedabad, HALAL in Gujarat, HALAL Ahmedabad, HALAL Gujarat, Halal Certification Service in Ahmedabad, Halal Certification Service in Gujarat, To cater the variegated demands of our valued clients, we are highly engrossed in providing qualitative Halal Certification Consultancy Service. For continuous excellence in Halal certification, we have developed Halal training, which is frequently conducted to enhance the understanding and awareness of Halal concept and islamic dietary laws and their requirements. Our provided service improves the food quality into global standards. Further, we offer this service to our clients at pocket friendly prices. 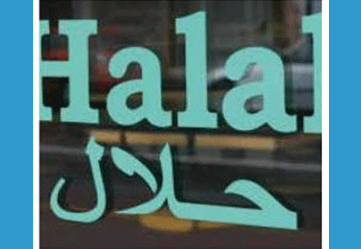 Halal Food Certification Consultants in Ahmedabad, Gujarat, India , Ahmedabad in Gujarat India. We offer these Halal Food , ISO Certification Consultants in Ahmedabad, Gujarat, India, Halal Certification, Halal Certificate, Halal Consultant, Halal Certification companies in Ahmedabad,Gujarat,India. ISO Certification Consultants in Ahmedabad, Gujarat, India. Ocean Management Services is a leading food certification consultants for halal certification located at Ahmadabad Gujarat India. Food companies, located at Ahmadabad Gujarat India can contact us for halal food certification trainings. Organizations looking for halal food certification in Ahmadabad Gujarat India, Hala food certification in Ahmedabad Gujarat India can contact us. We are providing our halal food certification consultancy services, kosher food certification services in Ahmadabad, Vadodara-Baroda, Surat, Ankleshwar, Bharuch, Nadiad, Anand, Vidyanagar, Mehsana, Kadi, Kalol, Chhatral, Palanpur, Rajkot, Mahuva, Bhavnagar, Jamnagar, Himmatnagar, Bavla, Gandhinagar, Gandhidham, Kutch, Mundra, Surendranagar, Junagadh, Saurashtra, Dahej, Kalol, Sanand and in other cities of Gujarat and in India. In order for hard cheeses, such as Cheddar, Muenster, Swiss and the like to be certified kosher, they must be produced under constant supervision. Meat, Poultry and Fish are should be used as per kosher certified guidelines. All grape products and their derivatives must come from that has been supervised from start to finish. Only these may be certified and approved as Halal. Raw fruits and vegetables are approved for kosher use however Halal certification is really a testament that the washing system employed rids the product of all pests. We are Provide The Certification For Halal in Ahmedabad And Halal in Gujarat. Leverage on the Global market. Enhance competitive advantage in the global market place. Provide greater assurance to consumers. Expands companys reputation in being able to meet varied customer need.